Me, My Life And The Tardis: Ways To Save Money Everyday! My name is Vicky and I blog at www.misstillyandme.co.uk and www.tillystravellingtelegram.co.uk, I write about many things from travel with Tilly to everyday life and mental health. Please pop over and take a read. Today I am writing about ways to budget, in January this year, I decided that I was wasting too much money and looked for ways to start saving it, the little money saving here and there, soon adds up and here are a few tips to start with. If you're looking to buy something big, make sure you shop around, you can usually price check on different websites and compare the prices. Also look at other services that are included in the price of the product that you're buying. Is Delivery included or will they take the old appliance away (if that's what you're buying)? Many websites have online exclusives and discounts too. Even with your weekly shop, it might be cheaper to shop around. 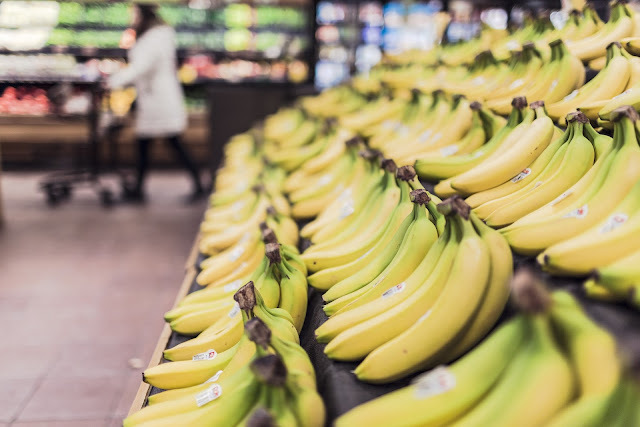 Most of the supermarkets offer incentives if you shop with them, like loyalty cards or they price check for you. I know it's not always easy to pay the bills on time, but if you do pay them on time, you save a lot of money over the year with the overdue payments. I was awful for paying my bills on time, but in January, I took a hard look at my finances and I decided it had to be sorted, so now I try to pay my bills on the day that they come in. I am saving £12 a month on overdue bill fees. Get them for every store that offers them! I know they take up room in your purse but you can always use your phone to store them in. Each loyalty card is different and will claim to be the best, but at the moment my favourite one is Co-op because you get a good chunk of money back if you buy their own branded goods. Usually, the loyalty card gives you money to spend back in store or vouchers for things like days out. There is no shame in buying food or other groceries that have yellow stickers on them. I know you see it on social media where people have bought pictures of loads of food that needs eating that day and its all reduced - that's going a bit over the top, but you can pick up food for 90% off and freeze most of it. I bought some mince the other day from £3.99 down to 69p, that will make a really cheap meal or two for me and my daughter. I don't buy things like sandwiches or prawns that have today's date on and I don't specifically go shopping for yellow stickers, but if you're in the supermarket at the right time, then why not try it? Whenever you go out for the day, it can be so pricey eating out, so if you pack a little picnic, you will save a great deal of money as well as have snacks to keep you going all day long. A drink at the cinema or a theme park could set you back a few quid when you can buy a big bottle of drink for about £1.50 and it will do all day. 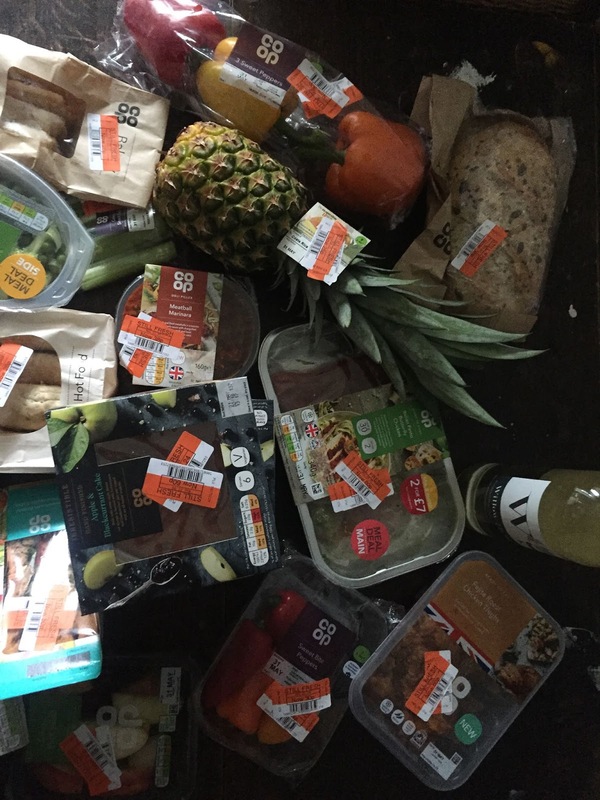 Recently we went to a music festival and bottles of water were £1,50 each, so we popped to Sainsbury's and bought a crate of 6 bottles for £1.26. It got warm throughout the day, but we popped to the bar and asked for a glass with ice in it and poured the water into the glass. Even sending your kids to school with a packed lunch will save some money, a school meal is about £2.30 but you can put a packed lunch together for less than £1. I am guilty of hopping on the bus to get home, but if it's me and Tilly, then I am more likely to walk because the fare is more expensive with two of you (it now costs a shocking £2.50 to go a mile down the road) so we will try and walk it, if there is more than one of you, its easier because you can chat on your walk home and before you know it, you're home! Although the payback on these is almost quite pathetic, you do still get some money and it might only be £5 for about £500 worth of shopping, it is still £5! I paid over £800 for a holiday through a cashback site and they offered me vouchers worth £35, which came in handy over Christmas. On these sites, you normally need about 600 points for a £5 voucher and you can sit and watch videos for one point each. I don't have time to do this but some people do and they say it is money for nothing. try websites like Top Cashback where you get a £10 bonus for signing up to them, simply click the image below for more details. You often find these in magazines and newspapers, whether it's for a free product of money off. Coupon clipping is actually quite a thing in USA but when you do it here, you can see the sales assistants face dropping. BUT do it, you can save a fair bit of money by doing this. You often get discount vouchers with your shopping receipt too, so its always worth collecting them and using them. Do you know any other ways of saving money? Please leave a comment below.